Thanks today to my friend Michael, who called recently and listened without judgment to all that I had to say. Thanks to my parents, too, who do this daily. My mom has patience with my lack of understanding as regards forgiveness and love. I keep thinking that it is a feeling which can be established and then the anger is forgotten–but it is remembering, even through residual anger and frustration, the good things. While we do that, I forget for a little while that I wasted energy in a needless struggle to gain his positive regard (I already had it–it was not exactly what I needed at the time, but I had it). We can share chuckles at the misspoken words of the video instructor; talk about how good it feels afterward. He shares with me a story of a small, short participant in tai-chi gently deflecting a charging football player. He recounts a story of solving a new problem at work. I admire his unrelenting positivity as regards the work, even when it involves pretty hairy, nasty leaks. I love him. I will learn to show it. Today I am thankful for the return of positive thinking. What do I mean? What I mean is that I start taking things for granted really quickly again if I don’t maintain these posts and other positive, forward-thinking actions. – My parents give me good food to eat and take me to the doctor to get Prozac to maintain serotonin. Both of these nurture the mind. – My parents respect my decisions and advise me as well. – My sister has taken a lot of time over the years to let me know I am loved and worthy. – My dad has shown me how to solder and taught me some about tai chi. – My mom and dad have taught me positive thinking techniques which work! My mom works hard at noticing the small and the big positive things consistently, and letting me know when she sees them in me. – My mom works hard and keeps her cool even in really extreme situations. – My dad works really hard and continues to learn what he needs to be an excellent all-around handyman. He works like no one else I’ve ever seen and nurtures his passion in all sorts of creative ways. He takes responsibility for everything he touches with respect and thoroughness. These are just a few of the things I need to say to encompass what a wonderful life I have been given. I am thankful today for more circuits topics to study. I learned more about the imperfections that make engineering more of a challenge. Loading effects of measurement instruments can make a big difference in how measurements come out! I also refreshed some knowledge about transistors and zener diodes and other nifty devices. I am also thankful for the appearance of birds outside my window this morning. I take it as a reminder of how well loved I am. Lastly, I am grateful to be able to act against my fears. It is the reason I can be human. The example today was feeling fear about starting work. In the past I would have diverted myself to “lighter” activities, but this time I reminded myself how far I’ve come and of all the people who have encouraged me. And then I wrote a letter to a recruiter I have been in touch with. So yes! Thank you God for the inmost courage that resides in me. 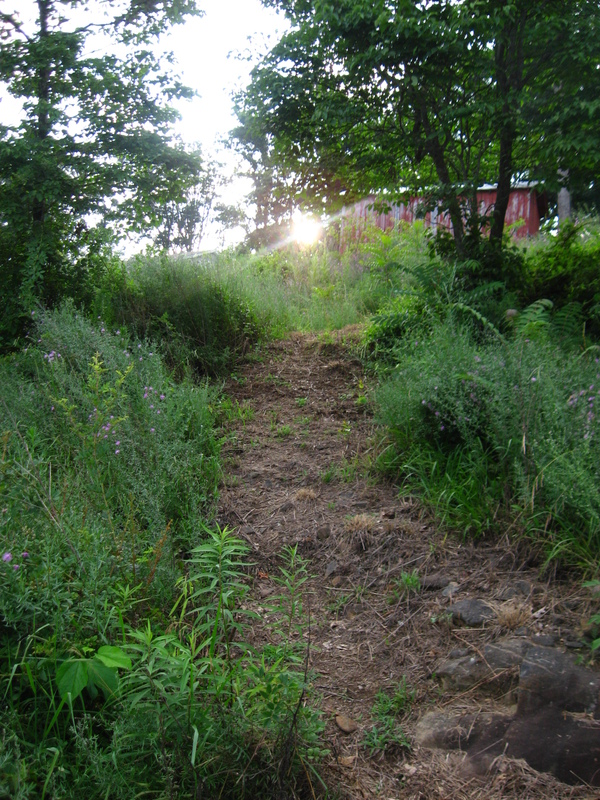 Today I am grateful for the sunshine. The fact that the sun’s light radiates from the sky, even on a slope where the sun isn’t visible. Today I am thankful for my father and the progress he has made. He is becoming a very positive person. I am also thankful for the other ways in which he has changed. He has become a very proficient and artistic carpenter. Adding onto a shed is his latest work. He had the idea to use whiteboard for the ceilings, walls, and roof eave boxing. He works very freely and joyfully now. Loosening up, he can still achieve what he sets out to do. And he is opening up more and more of himself to me. And he respects me. And I appreciate my mother. She has intuition for positive thinking tools that work. One of my favorite ones is saying to negativity, “Be gone! You have no power here.” She also taught me to enjoy simple things in nature. This morning she showed me how frost can turn even the ugliest weed into something beautiful. She also has appreciation of simple whimsical humor. For example, take her love of sock monkeys–there is a blue and green one hanging from her rear-view mirror–weird, but simple. 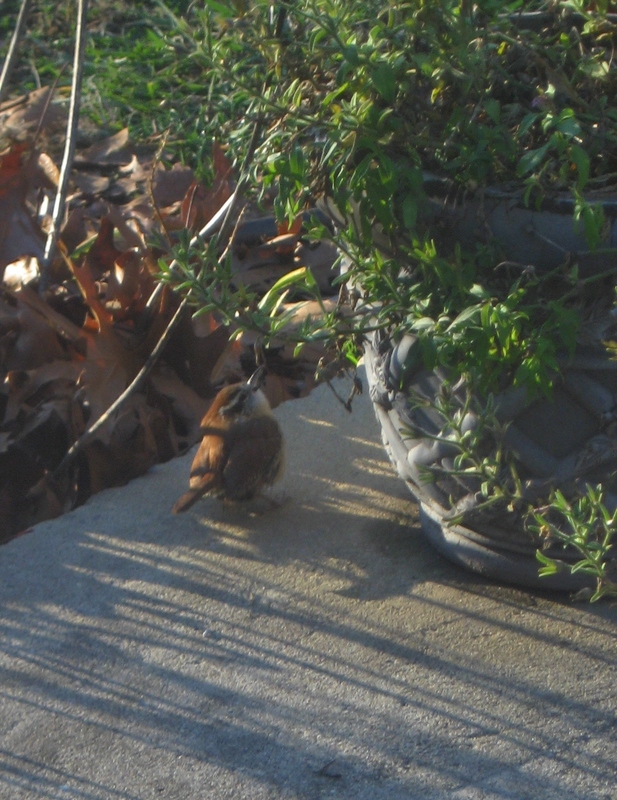 I am also thankful for the birds, especially the Carolina Wren which goes where no bird has gone before. Both in voice, with more songs and calls than any bird I know, bar the mockingbird, and in feeding, where I have seen it dive into rotting cross ties, under leaf litter, and in the rafters of the workshop. Today is a day I spent catching up on engineering. Some things I learned about were about power transfer conventions and the difference between AC and DC resistance (the first as the slope of the Voltage-Current curve and the second as simply a voltage divided by a current). I don’t know whether the AC is for experimental subjects like motors or what, but that is pretty interesting. Today, I am thankful for my professors and what they did for me in teaching me. It is cool that they were able to set up their own experiments for us to replicate, because they were entirely new to us at the time! I am thankful for the chores done by my mother. I tend to take things for granted, but here I am typing this out on a clean table, feet resting on a vacuumed floor, eyes looking at an orderly scene before me. I am thankful for having a bathroom to clean. I am thankful for good health. I am thankful for the healing of my body after an appendectomy and a spinal fracture. I am thankful for toast. I am thankful for the group of turkeys that ran by. I am also thankful for my sister’s and brother-in-law’s visit. I can be more faithful with this, I know. So I will. I will commit to 3:00 tomorrow. Some things just remind you to have a sense of humor. Today at 3:01 I was thinking about how cool it was how the sun broke out for the first time at 2:55. It had gone back behind the clouds, but whenever I thought about it and looked outside, it came back out even brighter! Other things just help me keep going if I don’t take them for granted. This morning I woke up pain free (not always the case with a fractured L2 vertebra). Pretty soon I am going to see my sister again for the first time in a while–this is another thing to be thankful for. I look forward to seeing her and going on a hike. I will see you tomorrow at 3:00.